SANTA'S ARRIVAL & HOLIDAY KICK-OFF!! You're invited to witness Santa's official arrival in Surf City USA! 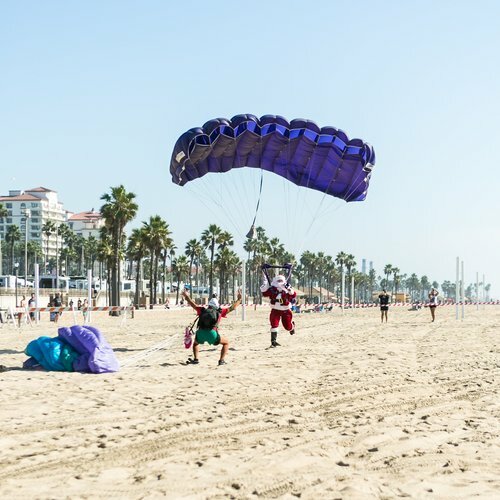 Straight from the North Pole, Santa and two of his elves will appear in the sky and land on the beach in front of Pacific City! Special surprises are in store as Santa is escorted from his landing spot on the beach to Pacific City. The hall-decking happiness will commence with photo ops with Santa and your little ones as Pacific City celebrates the start of the holiday season. Expect holiday songs, Santa hats and candy canes while supplies last and so much more!